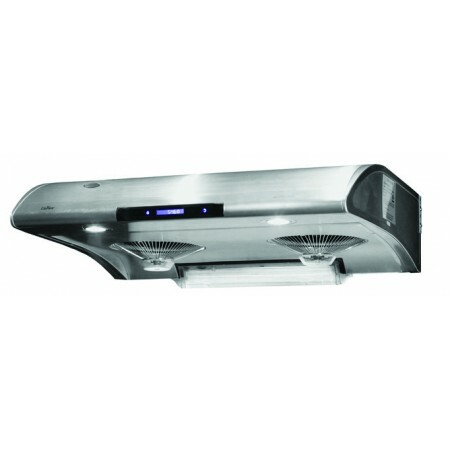 Crown Range Hoods use specially designed Hi-Speed and Ultra Quiet 6 speed motors. The twin motors revolving in opposite directions help to reduce noise and increase suction. The six levels of exhaust power allow the user to select different styles of cooking, and can reduce the noise and improve the efficiency of energy use. The chosen level of extraction is indicated by a 6 stage LED light, to make it easily known what level has been chosen . An embedded Micro control system remembers the last level chosen, even when the range hood’s power has been turned off. level 5 or 6 are used for Deep Fry or Stir-Fry, . Inside the range hood, a detergent tank and a small pump automatically spurt detergent on the fan when you push the Auto Clean button. The fan blades are coated with Teflon, thus separating grease from the air and depositing it in removable cups for easy cleaning. The absence of filters enhances air delivery capacity and sales on replacement filter costs. The grease collection pan and cups may be removed, washed and put back. That’s all! 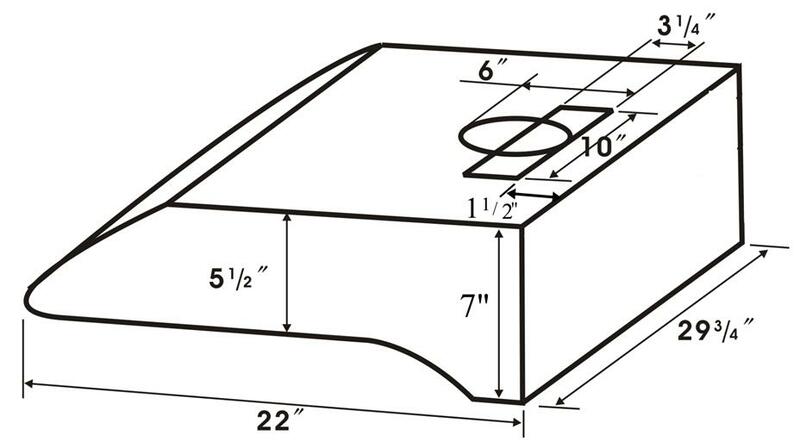 Vent from top with Round: 6" or Rectangle: 3 ¼ x 10" .